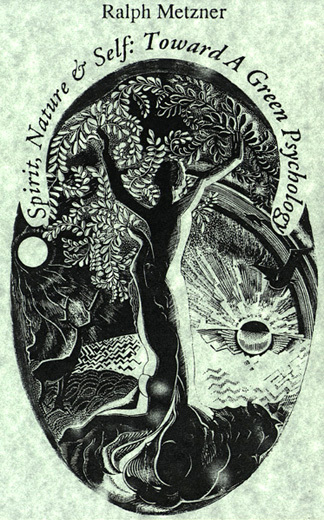 Joseph Chilton Pearce held the attention of the packed audience for two hours of his visit to Waldorf School, San Francisco. His enthusiasm for his material was conveyed more as a transmission then as a lecture. The information that streamed from him during his dance between blackboard and overhead projector was up-to-the minute, angst in time, citing many of the contributors to the Mind@Large Catalog of Sound Photosynthesis: Karl Pribram, Jean Houston, Rupert Sheldrake, Brian Swimme, Jean Liedloff, Robert Monroe, Michael Murphy, to name a few. 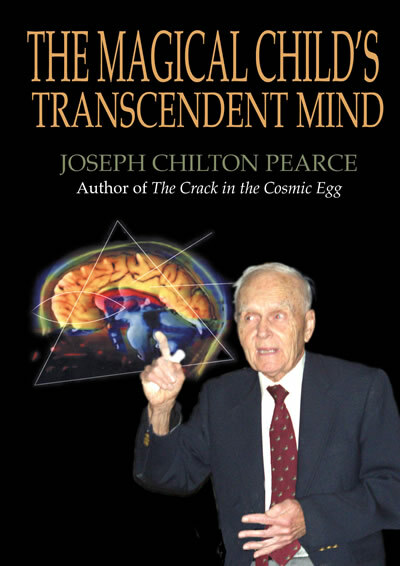 Pearce's latest book The Biological Transcendence: A Blueprint of the Human Spirit was minimally mentioned but largely drawn from his first book, The Crack in the Cosmic Egg , is celebrating another printing after remaining in print consistently for the last 30 years. TRT: 120 minutes. 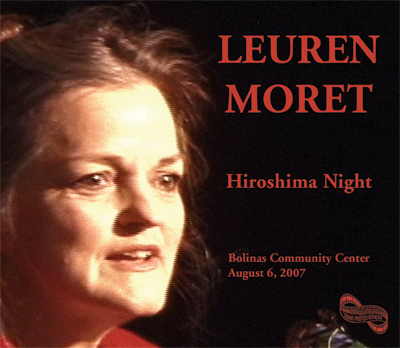 The planet's best-informed person about the perils of depleted uranium--Leuren Moret--spoke Hiroshima Night, Monday, August 6, 2007 at Bolinas Community Center. Find out who's supporting and promoting this policy, why and how this is happening and what we need to do about it. A fast-paced, information-packed evening with questions and answers. This interview appeared in Magical Blend magazine Issue #39 in a very abbreviated form. If you are interested in schooling your child at home and would like to hear how these parents have accomplished that, this tape's for you. If you are interested in the pro's and con's of the reality of educating YOUR CHILD AT HOME AT THIS time, THeN THIS TAPES IS FOR YOU. Can be had in an AUDIO album with Ralph Metzner and Richard Register. Commencement Address for Humanities at UC Berkeley 1990. Recorded at "Marin Interfaith Task-Force in Central America." The first-ever environmental video for children. A warm and engaging musical story, "Eco, You, and Simon, Too," features the adventures of a realistic, life-sized sea otter puppet, Eco, in a brightly colored, computer generated world with his gentle human friend, Simon. This 40-minute video helps children learn how they can protect the environment, educates and entertains through a new approach to learning that focuses on how well children learn from each other. 11/91 The Green Earth Foundation sponsored this talk with optimistic slide presentation captured on the video, but the audio is interesting and informative on its own. An album of the series of three talks with Ralph Metzner and Peter Berg is available. Here is a visual presentation of an inner reality through a system of harmonious body movements to the sound of live classical strings and spoken words. David Weber, a Waldorf educator, provides the sounds of speech accompanying the dance. This system of corresponding gestures with specific angles created by the body is attributed to Rudolf Steiner's educational philosophy of movement performed by the long established Waldorf teacher, Astrid Thiersch. Robert Mc Dermott, President of the California Institute of Integral Studies, introduces the second performance with a short explanation. Social commentary with humor and vitality...getting people up to speed on "The FARM" doings, "Rosinante" and "Plenty". From Eco-cities to Living Machines presents the ecologically-based working designs and prototypes of biologist John Todd and writer and environmental activist Nancy Todd. Since 1969 with the founding of New Alchemy Institute on Cape Cod, the Todds have become known world-wide for their leadership in the restoration of pure water, bioremediation of wild aquatic environments, food production, and urban settings and introduce culture and flowing pure water into green urban settings and introduce Living Machines, a family of technologies for purifying wastewaters to tertiary quality effluent without chemicals. Provocative and grounded firmly in the principles of biodiversity, the Todds work encompasses site-specific technological interventions and systems-wide ecological thinking. It has already influenced a new generation of ecological planners and designers, environmental economists, and systems-based engineers working to change the way we utilize production, technology, water, and energy. Gossips, Gorgons & Crones. The Fates of the Earth. This dynamic woman takes an honest look at the world today. Recorded 2/25/93 at the Waldorf School in San Francisco. 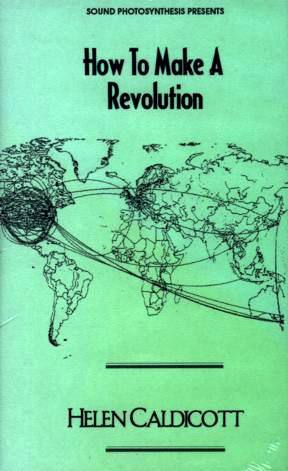 With extensive (use of diagrams), drawings, and facts scrawled on the GREEN board, Dr. Caldicott makes it abundantly clear that a radical departure from GREED politics, at home and around the world must take place NOW!... and she carefully delineates the process. Recorded in Santa Cruz, somewhat preaching to the choir but a good an encouraging rap particularily important for those interest in community social dynamics. Caldicott's latest state-of-the-planet address. Excellent resource for eco- activism. Thomas Laird lived in Asia for the last 30 years and he is prepared to tell and write about his extraordinary experiences. His next book will be co-authored with H.H. Dali Lama, The History of Tibet. You may or may not agree with every carefully chosen word that this photographer/journalist offers, but you will be interested, perhaps inspired, to learn more and have an effective opinion. See the video, get his book and listen to the other CDs we are going to put out of this mans work. TRT 59 min. An hour interview with a man who leaves no dead air. Thomas Laird lived in Asia for the last 30 years and he is prepared to tell and write about his extraordinary experiences. His first major book has hit the US in a time of many questions and anxiety with few answers or solutions. At least we get insights from Laird and we too become more prepared to evaluate our future moves. Thomas Laird uses his well compiled history of the first CIA operatives work and subsequent regretful demise to bring together elements of the drive, excitement, intrigue, cultural difference and totally other perspective that effected the world between the years 1945-1949. The political climate of today and the suffering of many peoples have understandable roots in the findings of photographer/journalist Laird. See the video, get the book and listen to the other CDs we are going to put out of this mans work. TRT 59 min. The Law Center at the University of Oregon in Eugene has a group of very globally minded up-and -coming ecological law students who work very hard for a year preceding each annual Land Air Water Conference. The Sound Photosynthesis Crew traveled to and volunteered the tech work of recording and duplicating their event to support their efforts to put the largest international convention of its kind. The Public Interest Environmental Law Conference emphasized Indigenous Peoples: Sacred Roots, Sacred Ties and took place March 4 through March 7, 1993. This is the full set of audio tapes and we are offering the keynote, the opening and the closing addresses and presentations on video for a packaged price of $140 tapes. 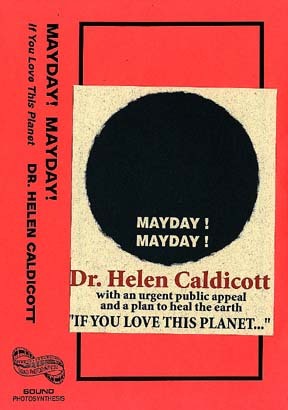 Dr. Caldicott confronts the latest developments of ecological and political crisis: G.A.T.T. and the decline of democracy, among other things. A brilliant emotional appeal not to turn away from the very real crisis we are in the midst of, but to listen to our consciences and act with conviction. Introduction by Vivienne Verdon-Roe. Very inspiring talk and unedited. Stephen does his same ole thing, thank goodness! Faustin interviews the authors of Not In Our Backyard: The History of the Ecology Movement. These guys are profound and very funny. We'll hear a lot more from them in the future. What can we learn from the ancient wisdom of traditional societies? Helena Norberg-Hodge arrived in Ladakh, a traditional, ecologically stable and socially harmonious culture, just at the time of its exposure to western-style development. She was the observer of profound change and her insights are unique. Joanna Macy is a Buddhist scholar, teacher and activist, known worldwide for her books and trainings which provide spiritual resources for creative social change. Her most recent book, World as Lover, World as Self, recounts some of her early experiences with Choegyal Rinpoche and their impact on her. Susan Griffen is a spirited author. This selection is presented in an album format. Australian eco-activist, John Seed joins eco-psychologist Ralph Metzner in this deep ecology workshop, which is an outgrowth of John's "Council of All Beings." Through guided meditation the listener is led back to a primal single-cell identity and then up through embodiments of the evolutionary animal identities stored in our genes. A powerful experience! Remembering our animal nature is a great way to begin healing the schizm that has formed between humans and nature. Also includes songs by John Seed: "Lovesong to the Universe" and "Eat More Beef 'ya Bastards!" An incredible plea for the salvation of a nation and its unique population. His Holiness speaks almost entirely in English without a translator. TAP Daniel Quinn proposes that the modern environmental crisis has its origins in the agricultural revolution that began about ten thousand years ago. At that time, humans developed a vision of themselves as the pinnacle of creation—a species for whom the entire earth was intended. Salvation depends upon our reclaiming our ability to live in harmony with the natural world. Daniel Quinn is the prize-winning author of the controversial best-seller, Ishmael, The Story of B, and Providence A two part hourlong video tape. The Tao is going up for '60's stock, and Stephen has kept it viable. Hear how. A welcome voice of clarity and humor representing a progressive democratic vision of economic fairness and social justice. 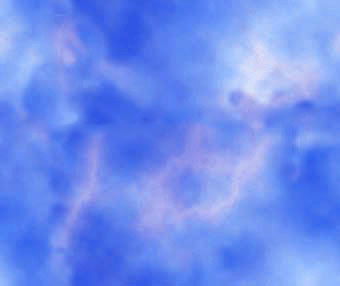 For the best effect, the video is more appropriate, as there is a great slide show with terrific images. Ralph Metzner, Ph.D., is a pioneer in the forming of new paradigms of consciousness and self-actualization. 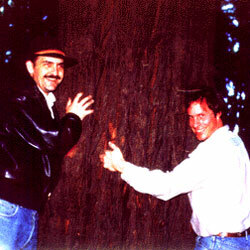 He is the founding director of the Green Earth Foundation, has a B.A. from Oxford University, and a Ph.D. from Harvard University in Clinical Psychology. The Age of Entheogens & The Angels Dictionary. Jean Houston, author, lecturer and culture sculptor said of Joseph Chilton Pearces most recent book:This is a materpiece of science and spirit, love over law, and the stunning biological truth of the capacity for transcendence that the universe has placed within us. There is much in this work that could solve the problems of history. Here, in brilliant and incisive words, is the foundation for a new mind and a new world. His first book, The Crack in the Cosmic Egg , is celebrating another printing after remaining in print consistently for the last 30 years. #V577-02, The Magical Childs Transcendent Mind TRT: 120 minutes, is the latest video of this great man speaking his most current information. Dont resist. This adventure in science and imagination, which the edical Triune said might herald a Copernican revolution for the life sciences, leads the reader through unexplored jungles adn uncharted aspects of mind to the heart of knowledge. The Cosmic Serpent is a personal adventure, a fascinating study of anthropology and ethnopharmacology, and most important , a revolutionary look at how intelligence and consciousness come into being. One of the most courageously committed anti-nuclear/environmental/ feminist activists around, Dr. Caldicott tells it like it is and challenges us as Americans to reclaim our political power from the corporate rulers whose propaganda has wrested it away from us. 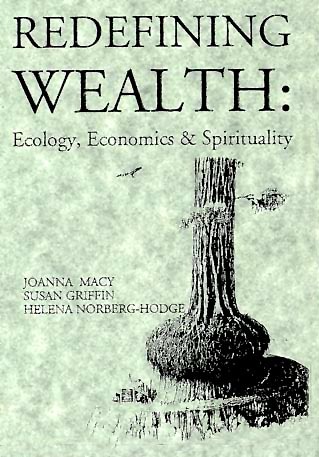 Very informative--an excellent resource for students, activists and other living things. At the Commonwealth Club a talk to inspire even the hardest of hearts--a very convincing rap from the fellow that heads the most successful small company of 1991. The Green Earth foundation put this one on. A beautiful and comprehensive slide show and inspiring talk. One of a set of three audios in an album with Richard Register and Peter Berg. Recorded at the Waldorf School in San Francisco 3/11/93. Ms. McDermott is a well known Waldorf educator. Gov. Jerry Brown gave Flower guru, The Farm founder, Stephen Gaskin full reign on controversial topics ranging from the politics of pot to the procreating of community spirit. An interview with history. They made a good pair and the large We the People audience cheered them on. Good social commentary. Who's Ecology - The Deep, The Social or the Feminist? These unedited tapes contain input from Gloria STEINEM, Vivienne VERDON-ROE, and Jean Shinoda BOLEN. A power packed day with some of our present and future leaders. Please inquire regarding specific titles. Recorded at the National Organizational Network keynote.